If you are currently hanging in Paris you must be pleased with the gentle weather, perhaps you didn’t even got out your prettiest winter furs. Well… if I were you I would be cautious cause Mother Nature is beautiful but vengeful. I personally predict an evil other-side-of-the-Wall months of March/April… and once that comes you know how it goes! All your buddies will go skiing and you stay here working with no high altitude tartiflette to ease your pain craving for a nice mountain escapade, in a little wooden chalet, with a cup of mulled wine and more cheese than you can handle. So consider this your urban workaholic solution : it’s only a illusion I’ll grant you that, but it’s a very delicious one ! As every super simple recipe, the key to turning this out is not your technique but the products you work with. 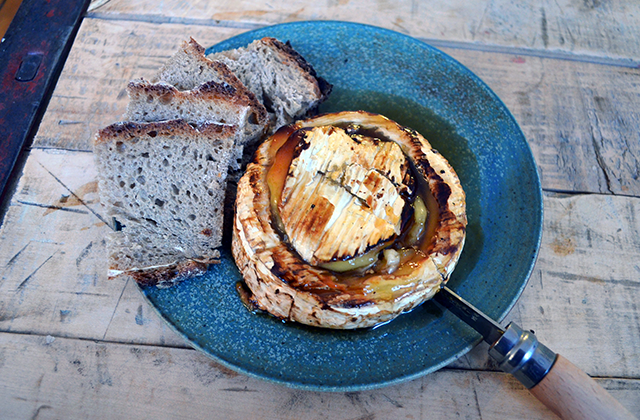 If you get cheap camembert from any supermarket, that old almost empty bottle of honey and sad bread made by a burned-out boulanger...bah… it should be edible… but it’s not gonna be as delicious as it could and should be ! Have that in mind while grocery shopping ! 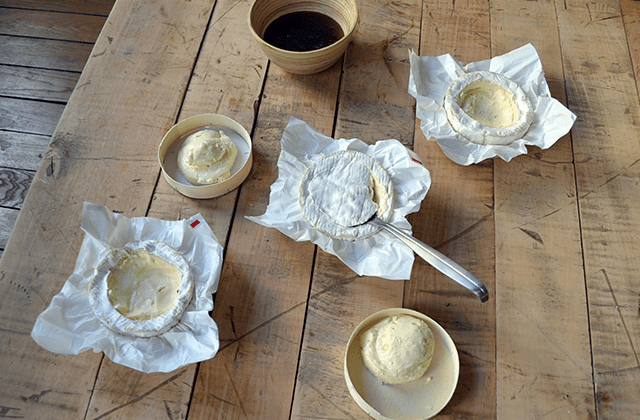 Start by preheating your over to 180°c and getting out all the material you’ll use : bowls, spoons, etc… We’ll start by carving the camemberts with a spoon in order to create a little crater that will be filled with honey. Be generous and try to spread it evenly all over it. 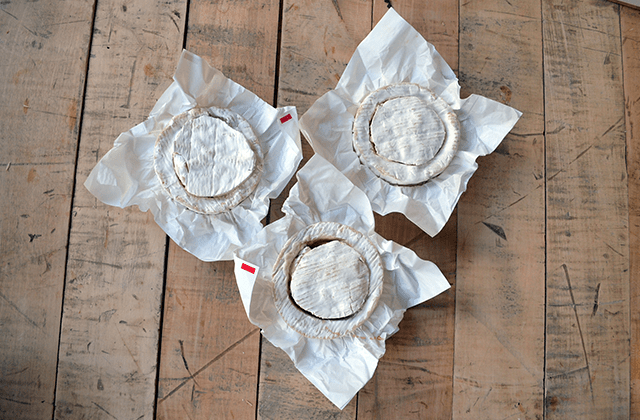 “Close” the camemberts and place it at the over for about 15-20 minutes inside it’s box with baking paper to avoid major mess. Check it every here and then just to make sure it’s going well. 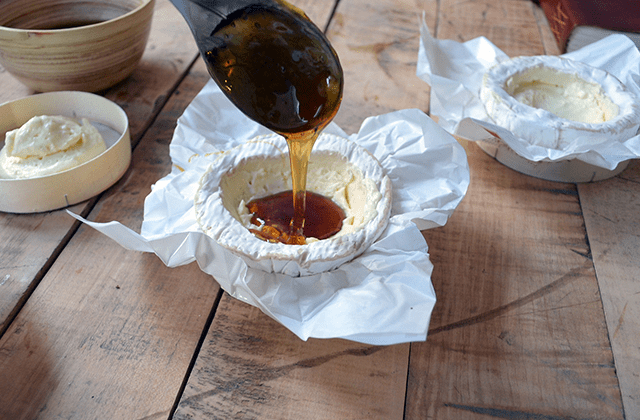 We are looking for two things : let the camembert inflate, and have the honey caramelized. 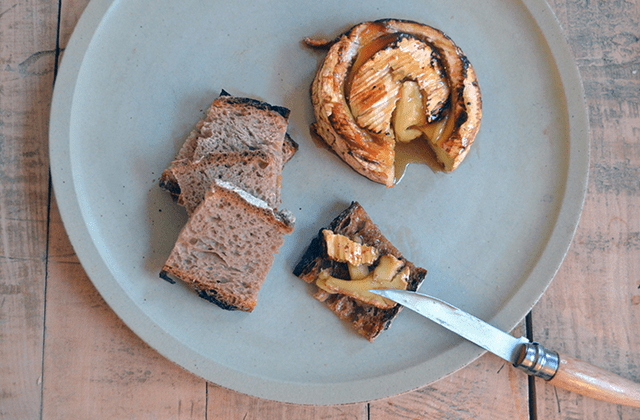 Once it’s baked, take out the baking paper and serve it with toasted bread ! I quite like it at it is. But for some extra flavor you can add some ground pepper, olive oil and even toasted walnuts or hazelnuts – they all go pretty well together! It’s perfect to share with wine or as an appetizer if the following entree is not too heavy !